Salads have long been synonymous with healthy eating and dieting. However, one ingredient or two can turn your salad from low calorie and nutrient dense, to unhealthy and rich in fat. Salads have long been synonymous with healthy eating and dieting. They are a staple food for obtaining critical nutrients from vegetables that promote the health of all our body systems. However, one ingredient or two can turn your salad from low calorie and nutrient dense, to unhealthy and rich in fat. 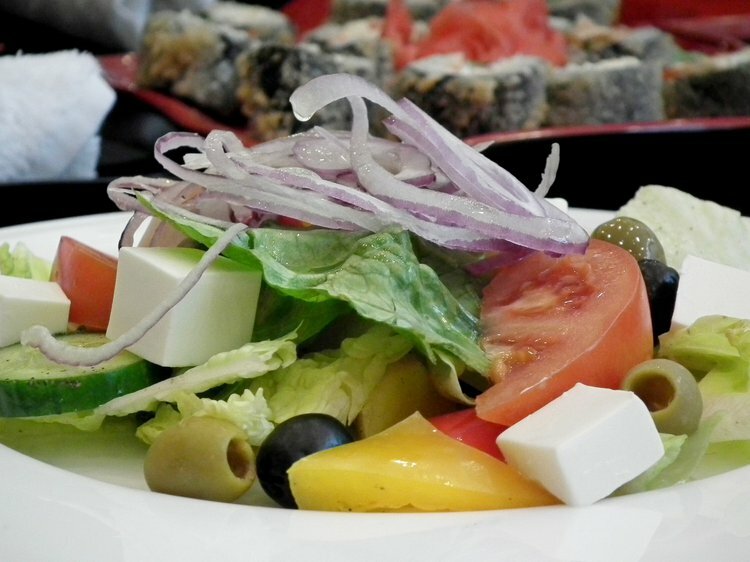 These biggest salad mistakes can have a lasting impact on your health when consumed in excess. Oftentimes dieters assume that if you replace a regular dressing with a reduced fat or fat free version, the salad instantly becomes healthier. But what these dieters remain naïve to is that in order for your body to efficiently use the nutrients in the vegetables, some type of fat is necessary in the diet. It is true, not all fats are good for you and some salad dressings contain too much fat content. Choose salad dressings that contain unsaturated fats instead of saturated or trans fats. Use only the amount that you need, typically no more than one serving size designated on the label. Replace salad dressings with extra virgin olive oil and vinegar or add a few slices of avocado to obtain healthy unsaturated fats. Bacon and other processed meats, like ham, are becoming a popular addition to chopped and julienne salads. It should not come as a surprise that bacon, despite its incredible flavor and adaptability to every meal of the day, could have a substantial impact on your health. You should take the time to consider that adding it to your salad might not be worth the health risk. The Harvard School of Public Health completed a study in 2012 concluding that even small portions of processed meat consumed on a regular basis has a significant correlation with an increase in colorectal cancer, cancer mortality, and cardiovascular disease. Consider replacing bacon or ham with grilled chicken or fish. Adding a legume protein, like kidney beans, provides a good source of fiber. Garnishing your salads with croutons might add flavor, but they add a cost. They are all heavily saturated in butter or oil to reconcile for their lack of flavor or freshness. One small serving of croutons can range from 50 to 90 extra calories. Avoid using croutons and consider sprinkling on some rice noodles or kale chips. Although you might like the crunch of iceberg lettuce, its light green color is indicative that it is not as nutritious as other greens. In the world of salads, the darker the color, the better its nutrition value is. Replace pale greens for kale, arugula, or romaine lettuce. These dark greens are high in fiber phytochemicals, antioxidants, and vitamins. Many salad recipes call for fruits like mandarin oranges or pears. But these fruits are not always in season, leading many consumers to jump to canned options for simplicity. However, canned fruits often contain a great load of added sugar and may be soaked in heavy syrups. In a joint study between the Centers for Disease Control and Prevention and the Harvard School of Public Health, researchers published their findings in 2014 that those who consumed more than a quarter of their calories from added sugar were about 3 times more likely to die from cardiovascular disease than those who got less than a quarter of their calories from added sugars. These findings suggest that added sugar, like in canned fruits, should be avoided. Opt for fresh fruit that is in season as a healthier choice. Although it might seem healthy, adding more than one or two sources of protein can make your salad highly caloric. Avoid adding cheese to salads that already contain poultry or fish protein, as the extra calories and fat can ruin the healthiness of the salad. If your salad already contains meat, leave out hard-boiled eggs. Consider replacing these items with more nutrient-rich vegetables, such as peppers, broccoli, asparagus, carrots, corn, cucumbers, peas, onions, tomatoes, or spinach. Candied and sugared nuts are popular in the salad world. They add an intensely sweet flavor to otherwise dull tasting salads. However, these nuts can be high in calories, fat, and sugar that cancel out the health benefits of the salad. Choose almonds, cashews or pistachios in small portions as a lower calorie option, as they contain a good source of protein as well. Avoid nuts packaged or roasted in oil and instead opt for raw or dry roasted. Next time you are looking to make or order a delicious salad, take a minute to examine the potential ingredients. Do not make the mistake of choosing salad fixings that will cancel out the outstanding health benefits you can get from making the right choices. Even with small restrictions, the options are endless. Reardon, E. (2005). Salad Lunches and Radish Dreams. Roe, L. S., Meengs, J. S., & Rolls, B. J. (2012). Salad and satiety. The effect of timing of salad consumption on meal energy intake. Appetite, 58(1), 242-248.